Are you ready to try something straight out of a futuristic movie? That may sound a bit dramatic, but the truth is many people who can benefit from thermal cameras still don’t realize their many applications. As a bonus it will fit your budget too. Below we’ll discuss one of the impressive models from Fluke, the FLK-TiS10. This is one of the lower end models from Fluke: Dynamic enough for professional use, but also a perfect option for every day use. Not sure where you’ll use this? Let’s show you. First, you need to know where this thermal camera comes from. For high tech gear shopping you should trust the brand as much as the gadget itself. Fluke has played a role in the manufacturing and service industries since the late 1940s. In its original capacity it provided tools to manage quality control, precision measurement and electronic installation. Of course, technology changes over time and this company didn’t stagnate: It kept on evolving, incorporated new technology in its tools and eventually also entered the thermal imaging industry. Now companies and home owners use these tools to locate problems related to heat distribution, building inspections and deliver high quality reports with their findings. With these tools you can effectively look inside walls and locate moisture or heat sources hidden from view. This helps in early detection of mold, HVAC issues, and electrical problems which can save you thousands. What do you get when you buy the FLK-TiS10 model? 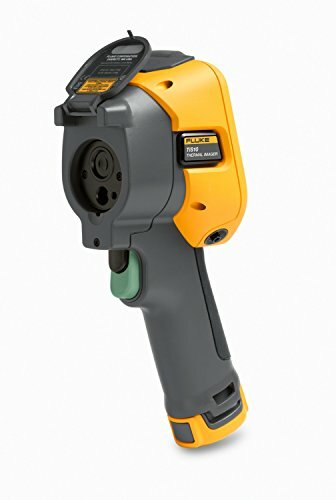 Finding heat sources has never been easier thanks to Fluke’s point and shoot method. With this model the thermal images from the 80x80 thermal sensor (4800 total individual pixels) will be shown on a 320x240 resolution 3.5 inch screen. Granted, you’ll find many models with a more impressive LCD display and higher thermal sensor resolution, but the image will still be remarkably clear and save you money. The clarity is enhanced because it incorporates the picture from a 5MP camera. This makes it easier to determine exactly where your problem is coming from. Even though it’s a lower end model, Fluke still embedded its Fluke Connect technology in this one. That means you can send information directly from the device via email. This saves time if you use this for your profession. For personal use this may not be such a relevant feature, unless you want to ask someone’s opinion on the matter or document the condition of your home. Remember: You can also store the images on the device’s 4GB memory and the SD card so you can access it in future. The tool is remarkably user friendly as it has a rugged design. This means your gear will serve you well for a long time, even if you drop it accidentally. It also makes it easy to gauge battery level - often a frustrating feature on electronic devices - because Fluke added a five segment LED display to the exterior. This shows you the battery level. You’ll know how much usage you’ll get from it which prevents a lot of embarrassing moments with clients that won’t be happy if your equipment doesn’t work as promised. You can see it’s a practical but also consumer friendly model. Now, where will you use it? An interesting application is the automobile industry where heat spots can tell you where to look for mechanical or electric problems. 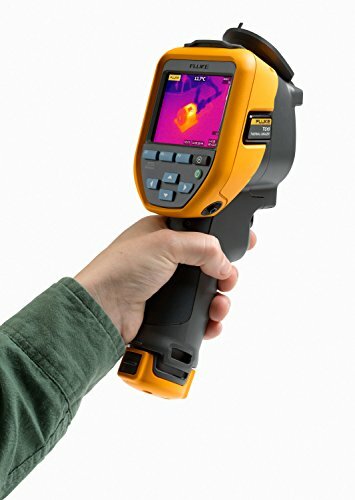 Because Fluke’s interfaces are mostly intuitive you don’t need a course to operate this thermal camera. That makes it practical for anyone to own whether you want to optimize your home maintenance or suspect plumbing and electrical problems. 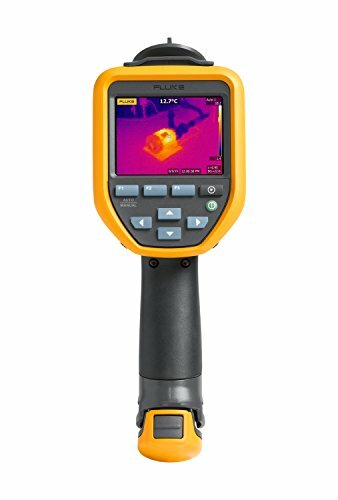 Fluke wins in terms of the camera as the FLIR E4 only has a 1.17MP visual camera. This makes a huge difference in how easy it is to detect where your problem is located. The FLIR E4 screen is smaller at only 3”. The E4 is slightly more compact at 9.6”x 3.7”x 5.5”, but remember, you’re sacrificing screen size. The lighter E4 (1.27lb) may be more comfortable to carry for some. If you want to transfer data from the E4 you’ll use a USB cable, rather than email or an SD card. 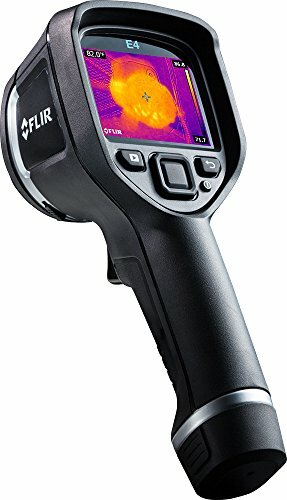 The FLIR is less expensive. Features such as temperature range, frame rate and battery life are much the same. The TiS10 is more impressive, unless the size and weight are priorities for you. The Fluke TiS10 makes perfect sense for home use and service delivery. You don’t have to guess where the problem is - you can know instantly. And this purchase will fit your pocket and your budget. Have you placed your order yet?